Thanks to our friends at Cow Lamp Films you can now watch Manlife via a number of different digital options. Reviews and watchlist adds help increase the film's visibility, so if you plan to watch it, do add it to your watch list, and if you did watch it and you liked it, please consider posting a review so others can more easily find Manlife among the sea of movies out there. Thank you!!! At 90-years-old, Merle Hayden has a lot to do. As the last crusading member of the utopian movement Lawsonomy, he works tirelessly to spread the gospel and preserve the legacy of his Commander, Alfred Lawson. 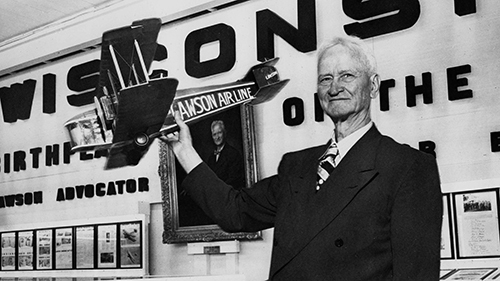 Lawson invented the United States’ first passenger airliner, but his company went bankrupt during the Great Depression. 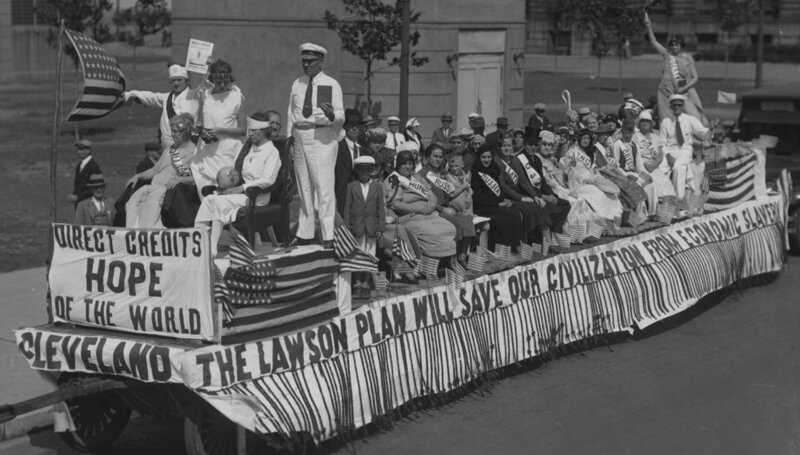 Dismayed by the policies at work, Lawson created the Direct Credits Society, an economic-reform movement against what Lawson called “the one percent,” which advocated for “justice for everybody that harms nobody.” Thousands joined. Yet once the Depression ended, many members left Lawson and returned to gainful employment, but not Merle. Merle stuck with Lawson through the creation of the University of Lawsonomy and its closure at the hands of the IRS. Nearly 60 years after Lawson’s death, Merle continues distributing Lawson’s writings hoping to find new followers. Merle’s high school sweetheart, Betty Kasch, feels differently. As a teenager, Betty rejected Lawsonomy, and so Merle rejected her—left her to join the organization fulltime. She checked for letters every day but did not hear from him for over 60 years. Although Betty and Merle picked up where they left off romantically, Merle's commitment to Lawsonomy continues overshadowing the life she would like them to share. She believes it is getting to be too much for him; in truth, it is too much for her. Originally a story of a leader and his most devoted follower, Manlife blends Merle and Betty’s story with a vast collection of Lawsonian artifacts to tell their tale alongside Lawson’s. Together, they examine the history of a fringe utopian movement, the memory of which Merle believes will cease to exist when he does lest he find another student to carry on the crusade. Ryan Sarnowski directed the feature Passing the Baton and produced over 100 documentary shorts, including the “Cream City Soundcheck” music series, while Co-Director of the University of Wisconsin-Milwaukee’s doc|UWM. 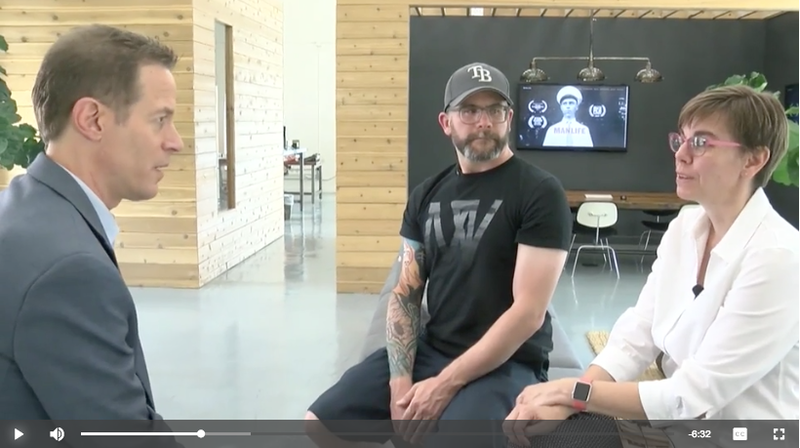 He is currently Editor of the Emmy-award-winning series Wisconsin Foodie and owner of Threshing Media, a production company that tells stories of uncommon lives and overlooked subjects. Ryan holds an MFA from UWM and a BFA from Florida State University. Susan Kerns is an Assistant Professor at Columbia College Chicago and Co-Director of the Chicago Feminist Film Festival. She wrote the screenplay for Little Red, which won Best Feature awards at the Berlin Independent, Canada International, Great Lakes, and Driftless film festivals, and she has produced or directed numerous award-winning shorts. She previously was Education Director at the Milwaukee Film Festival, and she holds a PhD from the University of Wisconsin-Milwaukee. Terry Caddell is a freelance filmmaker. He began working with Ryan Sarnowski and Susan Kerns through doc|UWM while obtaining his BFA at the University of Wisconsin-Milwaukee. He now resides in Copenhagen, Denmark. Jessamy Meyer edited the award-winning feature documentary My Way Home, was Assistant Editor on the documentary Psychopath, and works as an Editor for About Face Media where she creates documentary content for national brands. Greg Peterson has toured the world with many very different bands—Batillus, The Scene is Now, Saint Thomas, to name a few—whose music ranges from heavy metal to “postmodern jug band” music. In addition to his guitar playing (called “triumphant post-rock radiance” by Pitchfork) he currently enjoys studying Haydn on his Wurlitzer electric piano and strumming on his old banjo for children's parties. Though he has self-released over thirty albums, this is his first soundtrack. Mark Metcalf is known for playing iconic characters Doug Neidermeyer in Animal House, The Master on Buffy the Vampire Slayer and Angel, and The Maestro on Seinfeld. His background also includes numerous starring roles in other films, television shows, plays, and Twisted Sister music videos. "It would have been easy for "Manlife" to portray Hayden – who passed away this summer – as an extremist or a kook, but that never happens." "Personal favorites included Ryan Sarnowski’s Manlife, a fascinating documentary about an elderly man’s efforts to keep the cult-like LawsonIAN movement alive." "Manlife takes its title from one of Lawson’s books; But the film’s title is also a play on words about the measure of a man’s life." "a documentary that, like an optical illusion, is perpetually turning itself inside out, and like the best illusion, demands both our attention to its details and our focus on all it leaves behind." "a deeply touching documentary, and one of the best I’ve seen this year"
"MANLIFE IS a wonderfully universal tale...It shows one man who, at 90, just doesn’t quit." "We are not surprised that “Manlife”, which sold out, won the Audience Award." If you haven't heard of Lawsonomy... that's because the government doesn't want you to know"
Merle outside the University of Lawsonomy in Sturtevant, WI. Merle as a young officer in the Direct Credits Society. Merle in his Direct Credits cap - then and now. Alfred Lawson with model of his first airliner, photo taken at the Wisconsin Cenntenial in 1948. Lawson's second airliner (aka the Lawson Midnight Liner) crashed in a field near Milwaukee, Wisconsin, May 9th, 1921. Last large gathering of Direct Credits officers assembled in Springfield, IL, September 10th, 1939. All Nations Float designed by Direct Credit's Major General Alvira Haagsma, Cleveland, OH, September 16th, 1934. Merle and Betty by their trailer at the 2009 EAA AirVenture air show in Oshkosh, Wisconsin. 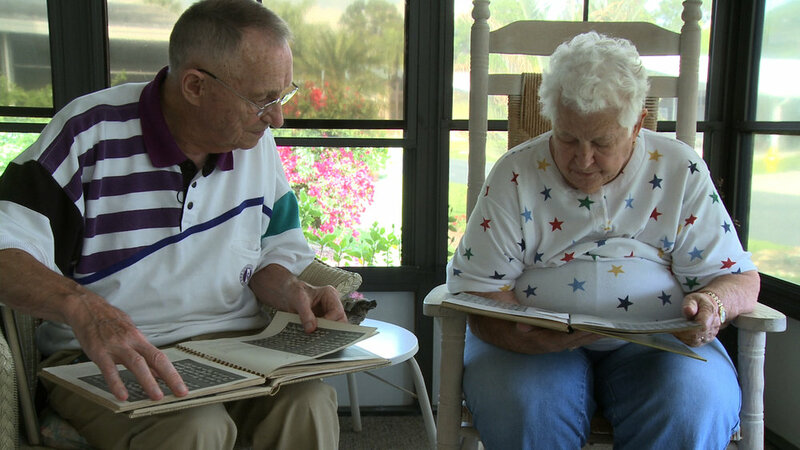 Merle and Betty reminisce over old high school year books at Betty's home in Naples, Florida. Merle beside the billboard that sat along Interstate 94 between Milwaukee and Chicago. Original motion picture soundtrack for Manlife by Greg Peterson. Timeline of Lawson's achievements and hope for the future.